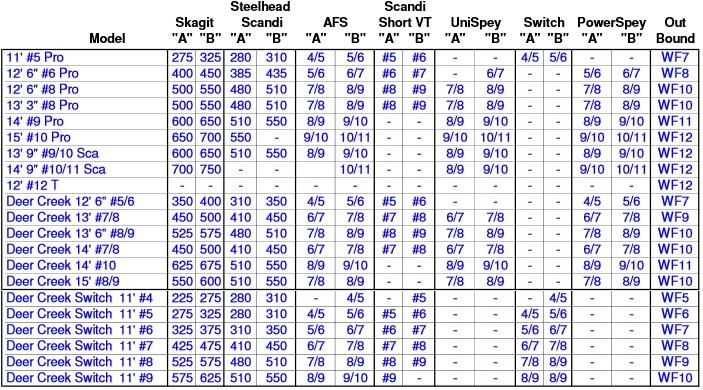 Below is a list of all TFO fly rods and their corresponding actions. The "A" rating is for more experienced casters, or for casters that like to cast off the tip of the rod. It is also a good choice for longer rods and wider rivers where the caster can carry the whole head length of the line outside the rod (55 feet in the case of most WindCutters). The "B" rating is for less experienced casters, and for casters that like to feel a deeper load in the rod. It is also a good choice for coping with tough winds, or using larger flies.